If you have any plants or flowers, it is important to make sure they are getting enough water to keep them healthy. This is difficult to do if you have a busy schedule, however. Consider buying an automatic plant watering system to free up more of your time and guarantee your plants get the water they need. An automatic plant watering system can reduce the burden of manually watering your plants on a schedule. Although you still need to keep an eye on your plants, an automatic system reduces the daily care needed to keep your plants healthy. We are sharing with you our top automatic plant watering system choices. 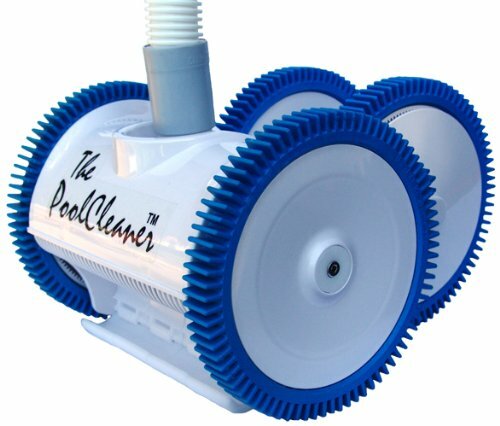 This Flantor product allows you to water all of your plants at the same time. Once your irrigation system is fully installed, you just turn on the faucet whenever you are ready to water your plants. Although this kit does not include a timer, you can set your system up on a timer so you can even water your plants when you are traveling. The Flantor kit has easy to follow instructions. You don’t need to do any digging or have any plumbing skills to install this product. This irrigation system includes 50-feet of distribution tubing, 20 irrigation drippers and 20 spraying misters. Each nozzle can be adjusted so that the flow is perfect for each individual plant. This product is economically priced and is a great choice for a plant irrigation system. This drip irrigation system from Koram is ideal for flower beds, greenhouses, hanging baskets and potted plants. The kit will cover 20-25 square meters of irrigation area and can water up to 40 plants. 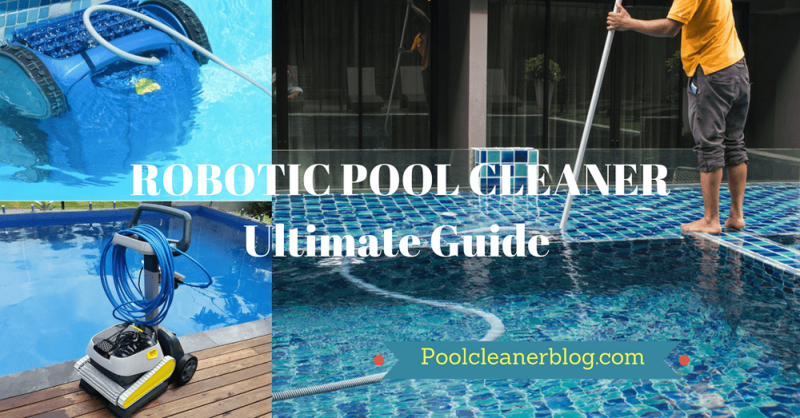 It includes hose tubing, feeder lines and snap in connectors that install in three easy steps. If you have never tried an automatic watering system, this system is a great choice for a beginner. It is easy to customize and expand to cover more areas if needed. I like this system because it allows you to adjust each nozzle individually to suit the watering needs of a specific plant. The Koram kit comes with a threaded faucet connector and a universal faucet connector. You don’t need to worry about whether the system will correctly connect with your faucet! This drip irrigation and misting system makes it simple to water all of your plants at the same time. 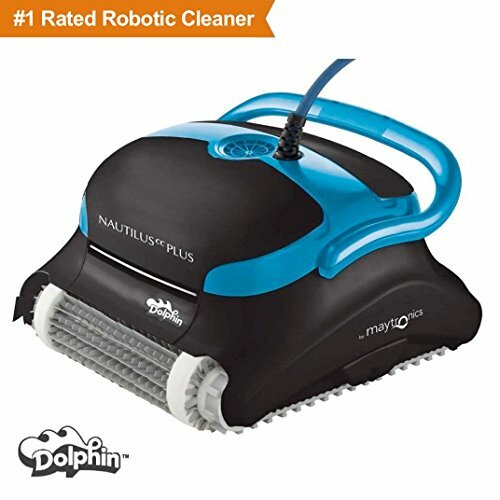 The kit includes connectors, stakes, a hole puncher, 20 adjustable drippers, 20 misting nozzle connectors and 50-feet of ¼-inch tubing. There are two kinds of faucet connectors to makes sure your faucet will correctly connect to the irrigation system. You can adjust each nozzle and dripper to meet the water demands of individual plants. 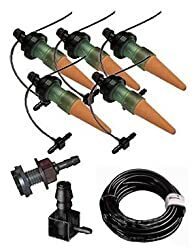 This gives you flexibility to create a misting watering system or a drip watering system with this kit. This irrigation system can save up to 70% in water versus regular watering methods. This means money back in your pocket! 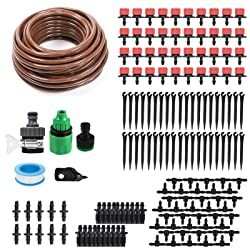 If you need an easy automatic plant watering system, check out this kit from KINGSO for your irrigation needs. The MIXC irrigation system allows you to water plants directly at their roots. You can conserve up to 70% of your water distribution with this watering system versus other watering methods. 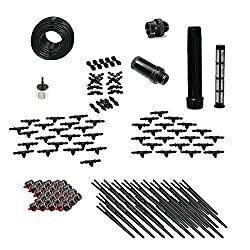 This kit includes universal and threaded faucet connectors to make sure the system can connect to your faucet. This kit covers 15-20 square meters of irrigation area. 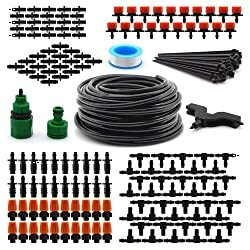 You will get 50-feet of ¼-inch irrigation hose with this kit. It includes 20 adjustable drippers that can deliver water as a mist, sprinkler or drips. The maximum spray diameter is 0.3 meters and you can increase or decrease the water flow by a simple adjustment of the drip head. You no longer need to water your plants by hand. You can start this automatic watering system by turning on the tap when you are ready. Each dripper can deliver anywhere from 0 to 18.5 gallons per hour and can be adjusted for each plants specific needs. This is a great irrigation system that will save you both time and money once you install it. The Melnor vacation watering system automatically waters up to 10 potted plants at a time. The kit includes an integrated timer you can set to water for as long and as often as you need. You can also operate the watering system in manual mode when your plants need extra water. This system includes a pump to deliver water from any container you choose. This allows you to place your potted plants where you want them even if it is far from your faucet! The Melnor kit includes a weighted filter that keeps sediment out of the irrigation system. This helps the water continue to run smoothly through the flexible tubing. The kit includes 15 feet of flexible ¼-inch tubing and can water up to 10 plants. This watering system is one of my favorites because it is easy to install and I do not need a connection to my faucet. If you want a watering system with a timer, this is an economic choice for your potted plants! This watering system is a self-contained drip irrigation kit. 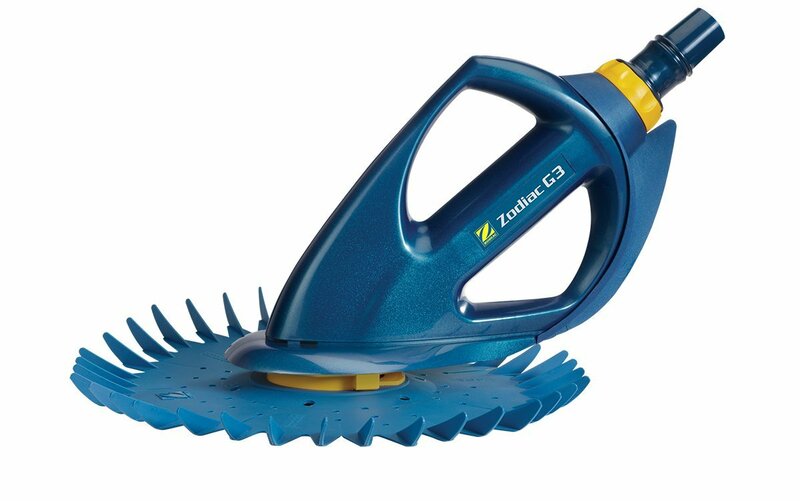 It is designed for container gardens and patios and connects to a standard water faucet or garden hose. This system will allow you to water up to 30 plants at one time. 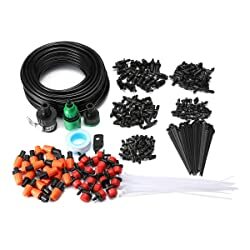 This deluxe irrigation kit includes 100 feet of ¼-inch tubing and 30 pressure compensating drippers. Each dripper can deliver a flow rate of up to 0.5 gallons per hour. 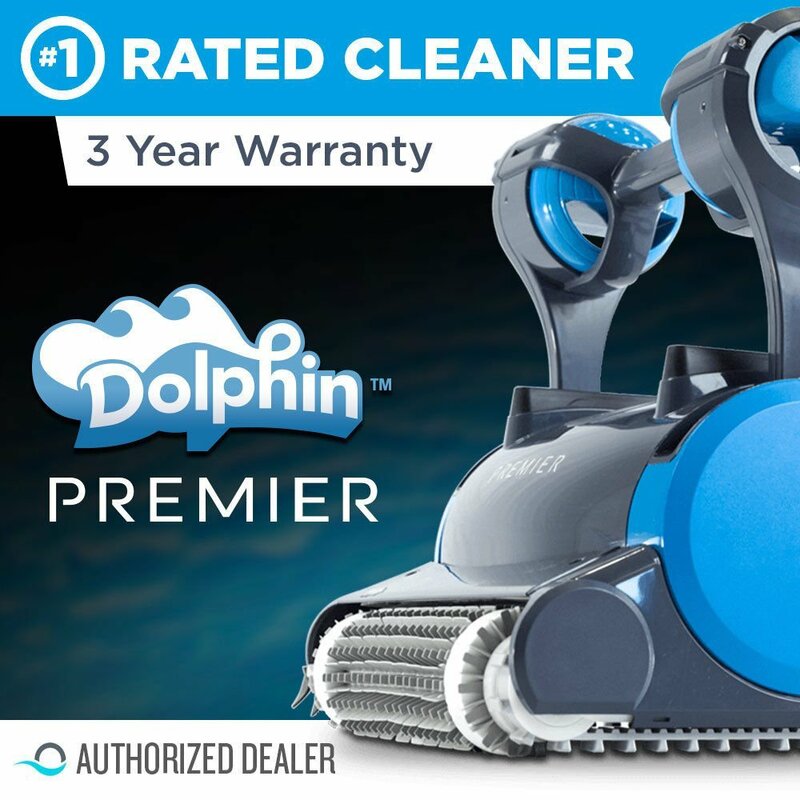 The system comes with a pressure regulator rated for 25 PSI. If you want to try an automatic watering system, then the Blumat 5-pack kit is a great choice for a low-cost starter system. This kit includes 5 Tropf Blumat plant stakes, tubing and other accessories. Tropf Blumat systems are gravity fed plant watering stakes that deliver each plant only the water it needs. The water flow is adjustable and will only water an individual plant when it gets dry. This kit doesn’t need any water pumps and will still water your plants even during a power outage. This system includes 7 meters tubing and an adapter for attaching to a water reservoir. 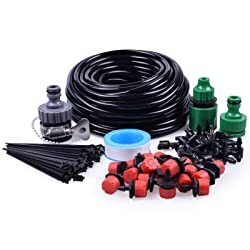 This is a great starter kit if you have never used an automatic water system. If you are going on a vacation or traveling for business, you don’t want to worry about who will water your plants. If you don’t already have an automatic plant watering system, you may want to consider buying one. 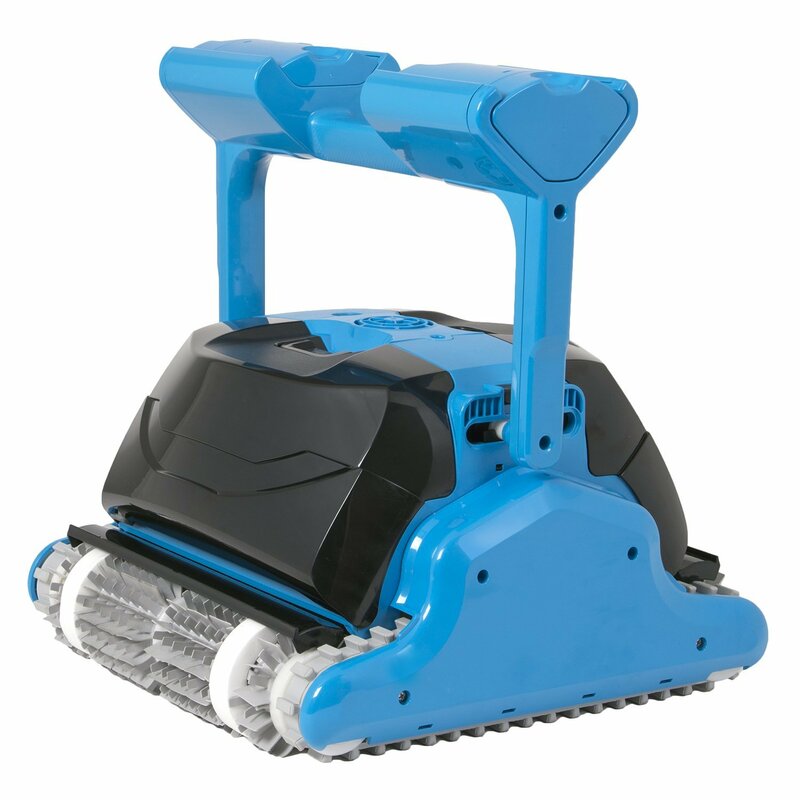 There are many features of automatic plant watering systems to know of before deciding. 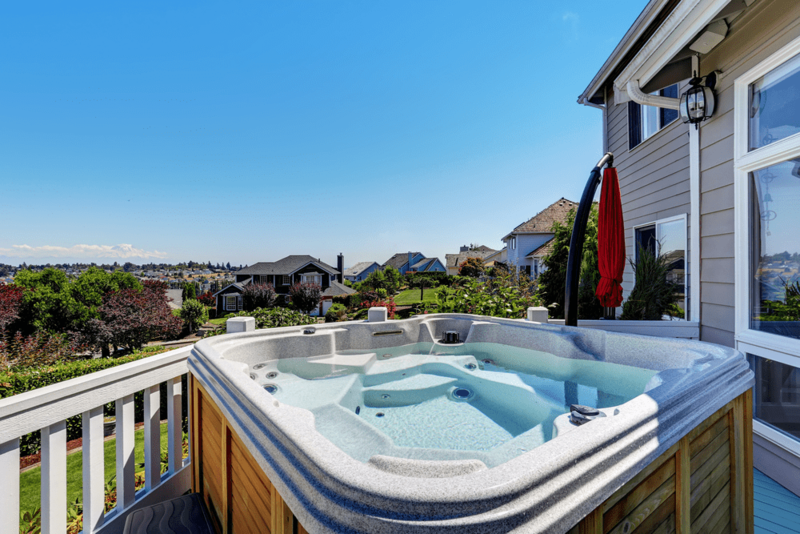 We are sharing a few items to consider before you choose the system that is right for you. Plant Watering Spikes – Water spikes come in many styles and colors and are designed for individual plants. 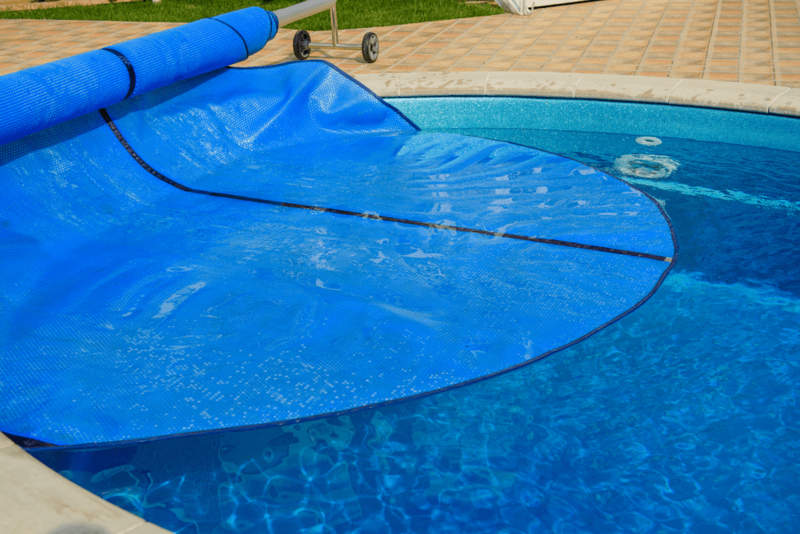 Not all water spikes include water reservoirs which means you may need to supply your own. Plant Watering Globes – Water globe stakes are glass globes with a hollow spike. You can fill the globe with water and place the spike in your plant soil. As the soil around the plant dries, water from the globe will be released. Self-Watering Planters – If you are growing herbs, then consider a self-watering planter or pot. These comes in many shapes, colors and sizes and have reservoirs that are deep enough to store several days worth of water. 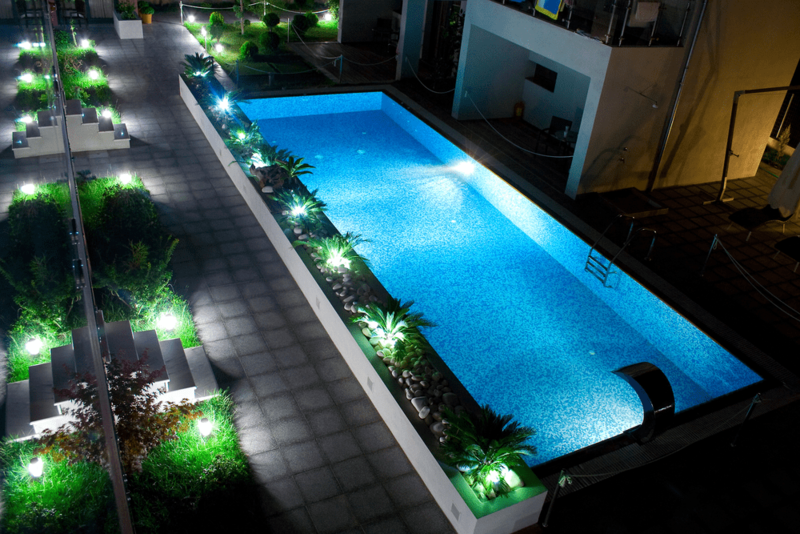 Outdoor Irrigation Systems – There are various types of outdoor irrigation systems. They are usually easy to install and have a faucet or another type of container source to supply water to the plants. Many of the outdoor irrigation kits include both drip nozzles and spray misting nozzles. These nozzles are adjustable and will supply just the right amount of water to each individual plant. An automatic plant watering system needs water that can be sourced from a container reservoir or from a faucet. I prefer that my irrigation system connected to a faucet. Otherwise, I need to worry about refilling the water reservoir on a periodic basis. If your schedule is busy, you should choose an irrigation system that has a faucet connection. 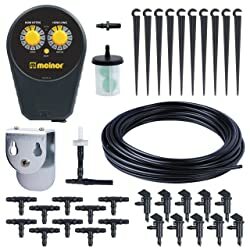 If you are going to install an automatic plant watering system, then you should also consider a system that has a timer. Once you add a timer to your system, then you never have to remember to turn on your faucet to water your plants again. Some watering systems may not include a timer, but they provide an easy way to add a timer to their kit. Consider a timer if you want to have a worry-free watering system for your plants. Automatic plant watering systems may seem like a luxury item, but they can relieve a lot of worry. If you love your blooming flowers in the spring and summer, then you want to have a simple irrigation system that will automatically water your plants. We have provided many products and features for you to consider. We hope you find a perfect irrigation system for your needs.